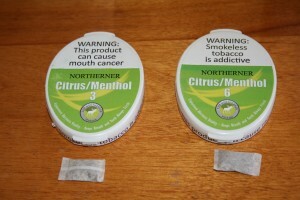 Formerly known as Oomph, Citrus & Menthol is now manufactured on behalf of Northerner by TillCE AB. For the past while I’ve wanted to try Citrus & Menthol both because of the flavor, and due to the fact that its a very dry snus. Citrus & Menthol is available in both 6mg and 3mg varieties of nicotine, and this review covers both varieties since besides the difference in nicotine content, there was no differences in flavor whatsoever. One thing I found interesting about Citrus & Menthol is that it contains a slight amount of baking soda, which is said to help keep your teeth white. When I opened my can of Citrus & Menthol, I was greeted with a pleasant aroma of -you guessed it, citrus. Upon placing a portion in my mouth, after about five mintues I began to notice a slight cooling sensation as well as a medium citrus flavor The citrus flavor most resembled lime in terms of taste, and it was very pleasant. Although I noticed the smell of menthol within the can, I only got a slight menthol cooling effect after putting a portion in and it wore off quickly. Although I’m a big fan of menthol, I enjoyed the fact that there wasn’t too much menthol, as I felt that if more was present it would most likely overpower the citrus flavor. During the time I had a portion in, I didn’t taste any tobacco flavor whatsoever, even after the citrus began to wear off. 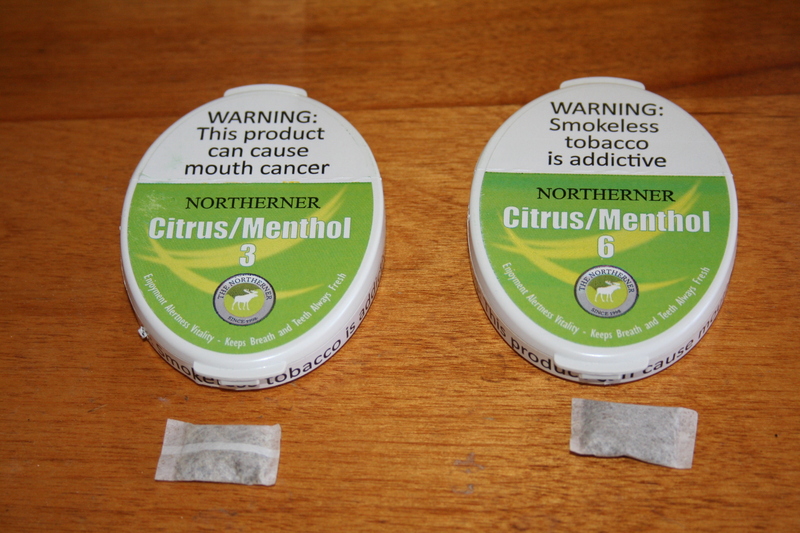 Citrus & Menthol is a mini portion snus, and each portion contains .3 grams of snus, which classifies it as a mini portion snus. The portions themselves are extremely soft and comfortable. Normally I find that dry snus can at times irritate my lip because of the low moisture content, however this wasn’t a problem with the portions used in Citrus & Menthol. Because of the extreme dryness of the portions, I was able to leave one in for over an hour without any problems. I imagine that I could’ve left a portion in for even longer and still have no drip, but I did notice that the flavor started to subside after the 45 minute mark. Additionally, the small portion sizes fit comfortably in my lip, and no one I was with was able to tell that I was using snus, making it great for places where you must be discreet about your snus use (such as at work). As a veteran snuser, the nicotine hit from the 3mg variety was very mild, but still noticeable. I did find that the low nicotine content was great for hangovers, as 3mg gave me enough of a kick without making me feel nauseous. The 6mg produced a slightly higher buzz, but it was nowhere near the level of some other brands of snus such as Thunder Cool Orange. Overall, Northerner Citrus & Menthol really impressed me as a snus, and is one of the best snuses that I’ve had in a long time. The dry portions go great with wine, and also make for a great after dinner treat. My only wish is that they would release another variant that has a higher nicotine content, as 6mg can be too low for me at times. I highly recommend this snus to those who enjoy citrus flavors, as well as to those who need a discreet snus to use at various times. I can definitely see myself ordering more of this snus to use on certain occasions. Manufactured by Oden’s GN Tobacco, Oden’s Extreme 59 is a cinnamon flavored snus which packs quite a punch at 22mg of nicotine per gram of snus. I’ve tried several members of the Extreme lineup, a and decided to start by reviewing Extreme 59 loose, since I’m currently using it right now! 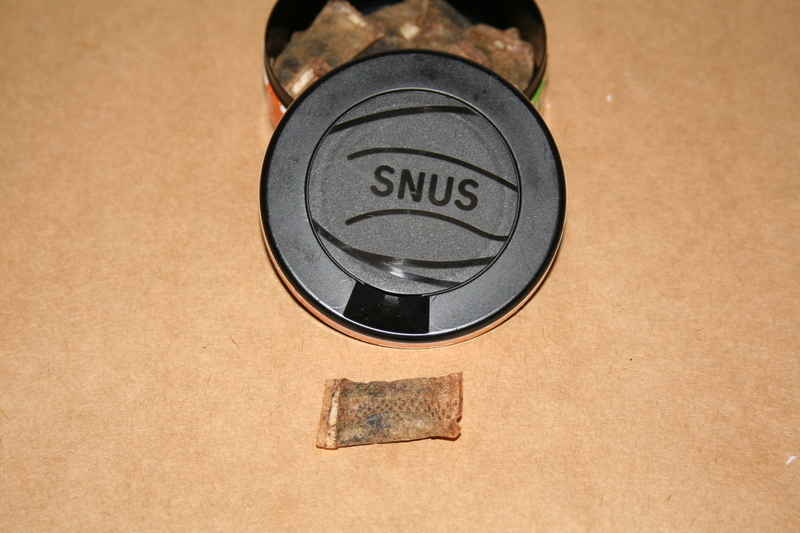 Unlike most varieties of snus which are steam pasteurized, the entire Oden family of snus is fermented. 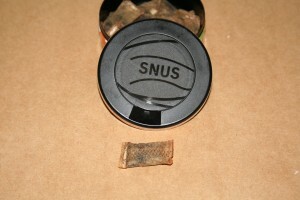 Despite the difference in the method used to produce the snus, my sources have indicated that lab analysis has shown that Oden’s snus is on par with steam cured snus when it comes to TSNA counts. I’m not quite sure what the 59 stands for, but there’s also Oden’s 69 snus which I plan to review in the coming weeks (as well as the original Oden’s Extreme). Upon opening my can of 59, I was greeted with a strong tobacco flavor, but much to my chagrin, I couldn’t detect any cinnamon aroma. Once I put some in my mouth, my suspiciouns were confirmed, and I was surprised to discover that the cinnamon flavor was extremely subdued, and I could hardly taste it at all. Instead, I noticed a tobacco taste which was quite different from the flavor of Oden’s Extreme, which happens to be one of my favorite tobacco flavored snus blends. I wasn’t all too fond of this taste, much preferring the tobacco flavor in the regular Extreme. The grind of the snus was very fine, and it was comfortable in my upper lip. At 22mg of nicotine per gram of snus, Extreme 59 packs quite a punch. This nicotine content places Oden’s Extreme 59 in the ultra-strong category of snus, and few snus brands can boast of a nicotine content this high. Due to this, if you’re new to snusing I recommend that you take care when trying this snus as to avoid feeling nauseous. Use a small amount to start and work your way up from there. Although the nicotine hit didn’t hit me as fast as with some varieties of Thunder snus, when it did arrive it was very strong as well as long lasting. I also found the snus to have a great moisture level, and it wasn’t too dry nor too wet. Because of the balanced moisture level, I was able to leave a portion in for about 40 minutes before it began to drip too much for my tastes. Overall, Oden’s Extreme 59 wasn’t quite what I expected. Once I finish my remaining cans, I don’t think I’ll be trying it again unless there’s a formula change which imparts a stronger taste of cinnamon. 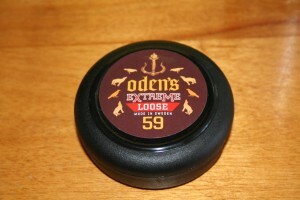 I will however continue to use the original Oden’s Extreme as I absolutely love the tobacco taste. However, I do see the appeal of a cinnamon flavored snus, and I believe that if Oden’s GN modifies the flavor a little to include a stronger cinnamon taste, I can definitely see myself giving this brand another try. After reviewing V2 Tobacco’s Thunder Cool Orange, I’ve decided to take a look at yet another very different type of snus found within the Thunder snus lineup, Thunder Coola loose. As the name implies, Thunder Coola is a cola flavored snus, and the first of its kind. V2 has impressed me in the past with its offerings of high quality snus at low prices, so I was looking forward to giving Thunder Coola a try. When I first opened my can of Thunder Coola Loose, I was greeted with a sweet smell which resembled sweet cola. I also picked up a hint of ammonia, but it wasn’t very strong compared to other brands such as General Onyx. 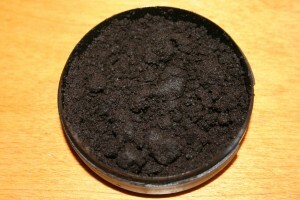 Tins of loose snus tend to contain much more snus than their portioned counterparts, and this can contained double the amount of snus found in Thunder Coola Portion (42g vs 19.8g). I find that loose snus has an advantage in taste over portioned snus. Without the portion material, I was able to detect a strong cola flavor, which was quite sweet and actually pretty delicious. I also felt a slight burning sensation, and this sensation complimented the flavor and simulated the feeling of actually having some carbonated cola in my mouth. The cola flavor stayed strong for about 20 minutes, and after that it gave way to a sweet and subtle tobacco flavor. The snus itself was slightly moist, and I felt that it contained less water than its portioned counterpart. The downside of using loose snus however is that its much more difficult to use in public, and can be slightly messy to use for a new snus user. 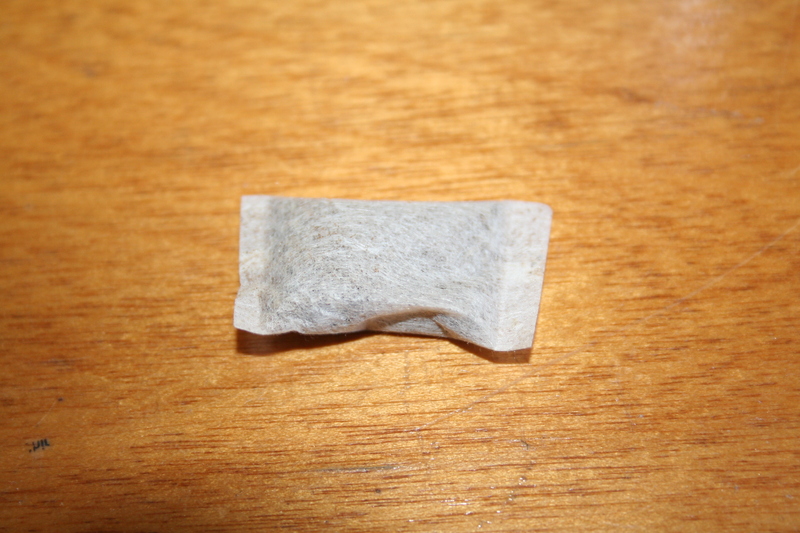 Personally I like to save loose snus for use at home with my IceTool, making it easy for me to control portion size as well as to create a consistent portion every time. Each can of Thunder Coola Loose contains 42g of loose snus, with a nicotine content of 16mg per gram, making it a strong portion snus. Being a stronger snus, I felt a strong nicotine buzz, but the onset wasn’t as fast as some other brands that I’ve tried. In conclusion, Thunder Coola Loose is a great snus for soda fans. Although I did enjoy my can of Thunder Coola as a break from more traditionally flavored brands, I don’t foresee it being in my daily rotation any time soon. Thunder Coola pairs exceptionally well with cola beverages, and the combination of the two makes for a refreshing combination in warm spring weather. Its also available on Northerner in a portion format for those who prefer portions to loose snus. Recently, I’ve been noticing that a number of snus manufacturers have begun releasing more fruit flavored snuses (such as Jakobsson’s Melon) in order to explore a new area of snus flavors which has been relatively untapped until as of late. 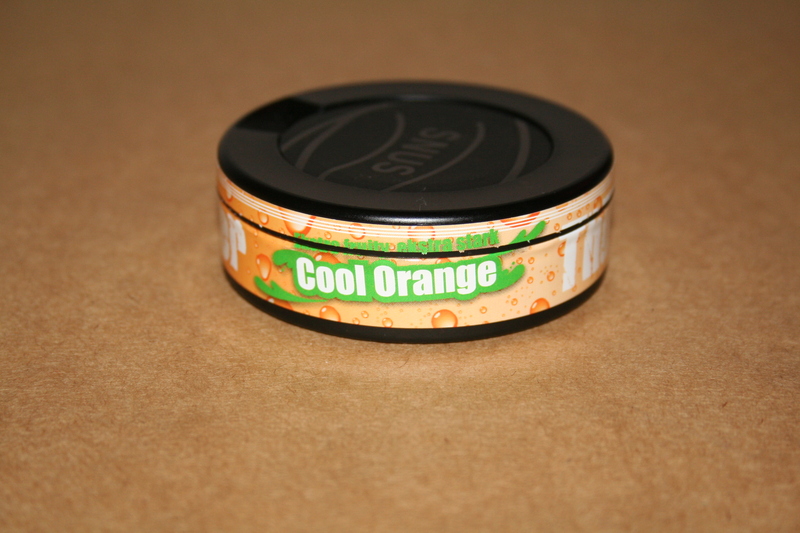 As the name implies, Thunder Cool Orange is an orange flavored snus which has recently been released by V2 Tobacco. Based in Silkeborg, Denmark, V2 Tobacco produces a wide range of snus varieties which includes Thunder Coola as well as the Offroad line of snus. 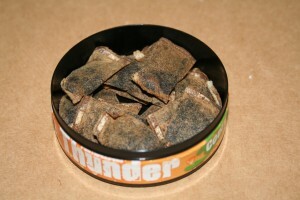 Thunder Cool Orange is a strong variety of snus, and has a nicotine content of 16mg/g. Each portion contains .825g of snus, which means that there’s a total of 13.2 mg of nicotine per portion. Upon opening a can of Cool Orange, I noticed a strong citrus aroma, and the scent really reminded me of Tang, the orange flavored beverage. Once I put a portion in, I noticed a tasty citrus flavor which was quite pleasant. Unlike most citrus flavored snuses which use bergamot as a flavoring, Cool Orange has a smoother taste which isn’t as sour, and it reminds me more of sweet orange varieties such as Valencia. I didn’t notice any tobacco flavor, and the orange flavor remained strong the entire time that I had a portion in. The portions were fairly moist, and came in a standard format similar to V2’s other offerings. 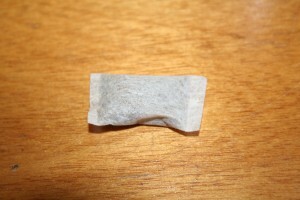 One thing that I really liked was that the portions had just the right amount of moisture for an original portion snus. I’ve noticed that in the past certain varieties of Thunder (such as Thunder Berry) were overly moist, but I didn’t feel that this was the case for Cool Melon. The portions also fit comfortably in my mouth, and I’m able to keep a portion in for about 30 minutes before I began to notice some drip. 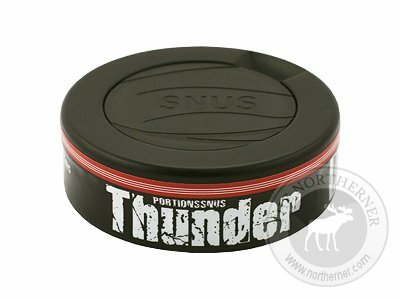 Being part of the Thunder line of snus, I found that the nicotine kick came on strong and quite quickly, which I attribute to the moist portions. In Summary, Thunder Cool Orange is a great addition to V2’s already strong Thunder lineup. V2 Tobacco is known for providing quality snus brands at great prices, which is great for those who are on a budget yet still want to enjoy a quality snus. I highly recommend Cool Orange snus to those who are looking to add a fruit flavored snus with a kick to their daily rotation. Personally, I can see myself adding Thunder Cool Orange to my daily rotation and using it when I need a break from my tobacco flavored brands. Making its debut in 2006, Swedish Match’s General Onyx is one all my all-time favorite brands of snus. 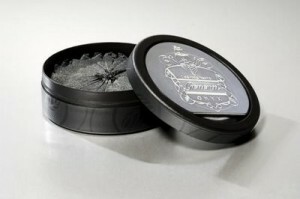 Each can of Onyx contains 24 portions which contain 1 gram of snus each. Unlike many brands of snus which have reduced the size of their portions to between .75 to .9g, General Onyx continues to provide slightly larger portion sizes. 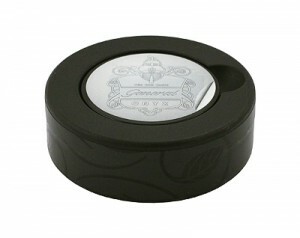 Onyx is classified as a strong portion snus, and has a nicotine content of 11mg per 1g portion. In November 2011, the color of the portions were changed from black to white. Upon opening a fresh can of General Onyx, I was greeted with a strong aroma of tobacco, with subtle hints of lemon. Once I put a portion in, I was greeted with an incredibly balanced and smooth tobacco flavor. After about 5 minutes, I began to pick up hints of lemon and black pepper, which blended very well with the tobacco flavor and wasn’t overpowering. Being a white portion snus, Onyx is a little dry, which gives it the advantage of lasting longer. With less moisture present I found that it took a little longer for the nicotine kick to become apparent in comparison to original portion snus. However, when the nicotine kick did come, it was fairly strong and long lasting. I found Onyx’s portions to be extremely comfortable, and I was able to leave one in for nearly an hour before I began to notice a drip. In my experience, General Onyx portions are incredibly soft, and are the softest portions I’ve tried as of yet. Although I prefer the look of the black portions, I didn’t detect any difference in quality between the old black ones and the new white ones. Inside every can, portions are arranged in a star formation, and are shaped like a wedge, making it very easy to simply pop a portion in without needing to do any readjustment beforehand. Overall, General Onyx is an excellent premium snus with a superb flavor profile. The slight hint of lemon and black pepper, mixed with the smooth tobacco flavor provides an excellent flavor which I find goes great along with a good wheat beer. Being a premium snus, Onyx carries a slightly higher pricetag than most varieties of snus, but it’s exceptional quality makes it worth the every penny.